This novel is a work of fiction. Names, characters, places, and events are either the product of the author's imagination or are used fictitiously. Any resemblance to actual persons, living or dead, events, or locales is entirely coincidental. All pictures and multimedia used are not the author's work and doesn't claim any legal rights. I'm forty years old, a middle age woman. Some say I have a fulfilling life, an architect with a high salary, a one-bedroom condo unit and a face that although not the most beautiful but certainly warrants a second look. The only thing people criticize about me was the emptiness of my ring finger. I'm not married and didn't have a family of my own. I didn't feel anything about it. I don't need a man in my life, and I hate kids. The only thing I regretted was how I lived my life. Half of it wasted in school and the other half wasted in work. Before I knew it, I'm already old and at my deaths bed - alone and dying. THEN I WOKE UP FROM THE DREAM. How to Purchase the Books! System: ...This is a cultivation world, where did an intergalactic spaceship come from?! *Translator: Just in case you didn't get it, shipping is the term people use when they want two people to be a couple. "Husband!" A pitiful voice cried out, piercing into the silent night. Li Xingyun sensed her death was near, but she had grown up with the resolve to never go down without a fight. This time she was going to keep fighting. "Bai Yā Tòng!" She cried out louder, her voice becoming hoarser as she wailed out pitifully. "Mei-mei, why do you behave unruly?" 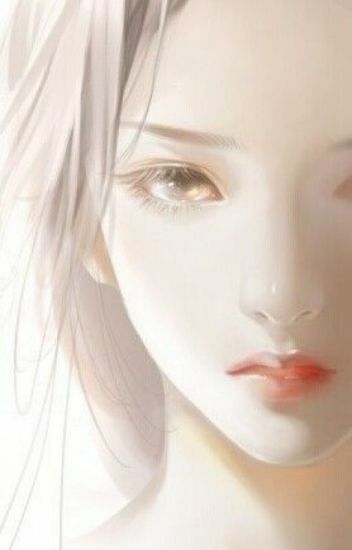 A soft voice questioned as a fair skinned hand stretched out to slap her, and stepped out into the light. "Uncle won't be pleased to hear such vulgar language on a dignified young miss" She laughed out loud in mockery. She would have been considered to be quite beautiful if her face was not twisted up in a malicious grin as an evil glint flashed in her eyes. "Li Shanliang!" Xingyun gazed bitterly at her cousin who grinned triumphantly in front of her. "You are despicable, I curse you to a thousand years of damnation a...." A sword pierces through her cutting her curse short. "Hmph! How dare she open her filthy mouth to curse you" A man hugged Shanliang from behind, kissing her neck. Xingyun lived her life as cautiously as any first daughter of a first rank duke would. Growing up, birth mother is harsh, father is pitiful, cousins are ruthless. Only stepmother and brothers are comforting. When she meets death at the hand of the person she worshipped and adored, she swears revenge. The continuation of Favored Intelligent Concubine from chapter 132 foward until the next announcement! Xin Xia, code name 'X',  was the youngest agent and top hacker under NERO--the New World's Central Interstellar Intelligence Organization. However, on a mission turned sour, she was sucked into the supermassive digital black hole and got chosen by the Supreme God to be reborn as hundreds of thousands lifetimes to be the Villain. Until one day, she finally escaped from the control of the Villain System and decides to take things into her own hands, changing her fate as an abused cannon fodder. This is the second book of the chronicle "Around the World". This chronicle tells romantic legends from many different Asian culture. There are five books to this series and each one have thirty chapters. A story about a man that builds a grape farm and the fairy that helps him. The man have a brother whom wanted all of the riches that was left behind by their deceased parents. The man's brother  gave the man cooked seeds and told him to go out and make a living on their own. The man was innocent and kind, so he did as his brother asked. He bought with him the money his brother gave him. He then planted the seeds, but it never grew that is until a woman shows up in his life. A man who lost everything was taken in by a little girl and her clan. As the two were out one day, the clan was burned to ashes and they had to run away to escape from the enemy. They worked together and self-taught themselves martial arts to survive and take revenge. As they travel and meet new friends, will there be love between the two or will they just stay mutual? Classical Chinese dance student Mei Yanran found her first love between the pages of a online novel. When a traffic accident grants her one wish, she seizes the chance to transmigrate into the world of her favorite story! Bright, bold, and beautifully confident, Mei Yanran's determined to win the affections of resident side character Ling Fengxiao. But can pure personality and knowledge of the plot grant her a happy ending? What about that pesky prince who keeps trying to make a love triangle? Deaths in the capital, chaos in the courts; the path to love is rarely a straight and easy road! Reincarnated As The Heroine?! I refuse! Once upon a time, there exist four students who were suddenly eaten by a lake. Stumbling around in the new world, they later found it was a world similar to an otome game! With an actual heroine at play, the irregulars of this world unconsciously drove the plot to a certain ending. However, something's greatly amiss as everything seem to be a little bit too realistic and a little too tragic. They were supposed to be normal, if they were not the irregulars of this world. A simple otome game was completely not so simple anymore once the capture targets were involved and a certain heroine becoming strange! And did anyone mention there were others just like them? Irregulars? Well, we're doomed! *Pictures are found online, but if need the sources, just send me a message. *Includes: Transportation, transmigration and reincarnation. Disowned and deemed useless by her family, Mimi Hirogori is a teasing mischievous girl whose only care and importance in the world lie with her beloved eldest sister. However, what Mimi didn't expect was the sudden occurrence of her sister's death. Since young Evangeline Heart was taught by her mother to live a life unhindered by anyone, and she did exactly that. She does whatever she wants, say whatever she wants, act how ever she wants without regards to anyone else. She is living her life just the way she wants to. But of course, everything came with a price. She found herself at the center of rumours, ridiculed, isolated and at the top of the women's hate list. Fortunately for her, she is not about to face societies harshness alone, she will find an unlikely candidate as allies. A Knight in her chess pieces that will turn out to be a King?